Automatic Doors Repair & Install are the doors of the future and if you want that contemporary look and feel, you want a high-quality automatic door that looks great and works even better. Automatic Doors Repair & Install These days, almost anything can be controlled with a click of a button, and when it comes to doors, this comes pretty handy. That’s why most business Owner decide to go for the automatic door. Now, as great as automatic doors are, the frustration is even bigger when they’re out of order. You want your door to be reliable so everything will run smoothly. 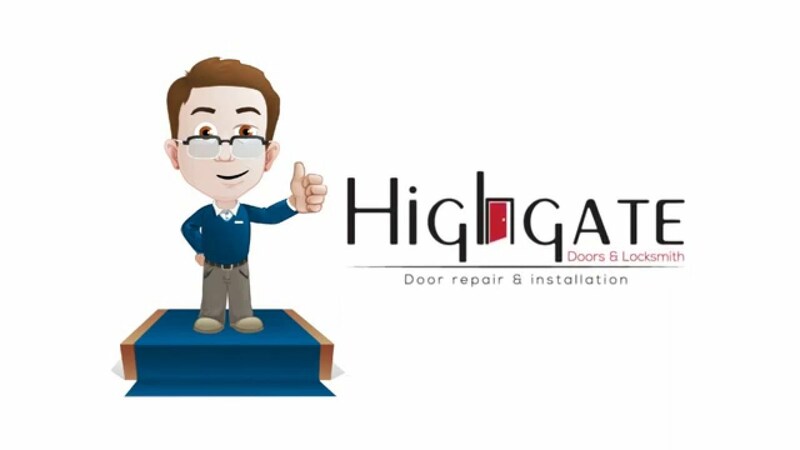 If you want to get a high-quality automatic door installed by professionals or if you already have automatic doors but they’re malfunctioning, we at the Highgate Doors can help. We are based in New York City, and you can reach us either through the contacts page on our website or simply by calling (212) 860-5477. Leave us your information and we will show up at the location to take a look at what’s bothering you and we will give you a free professional assessment. Our workers are skillful and experienced and we always put our client’s needs ahead of our own needs and wants. We’re very open for cooperation and we won’t do anything you didn’t approve of. Sometimes the clients have misunderstanding with the service providers, but if you become our customer, you’ll see just how smooth everything can be. We know how to keep our customers happy, not only because we have a great customer service but because we also provide the best service and within a reasonable timeframe. Automatic doors include a variety of different door types and styles such as sliding doors, telescoping sliding doors, swinging doors, electric folding doors, revolving doors, bi-fold doors, and ADA operators. amazingly modern. Other than the elegant looks, the most convenient thing about automatic doors is their functionality. For a fully automated, access controlled system get a good automatic door and put some effort into maintenance. The automatic doors are a great choice for shops, public buildings, hotels, offices, etc. so if you want to upgrade the looks of your space and to increase functionality, give us a call. We can repair your existing automatic door, no matter if the problem is big or small, and if the door is too severely damaged, we will give you a good offer for a new and possibly a better or more appropriate door for the location. If you don’t have experience with automatic doors and you would like to install them but don’t know just what would work best, we can help you pick the door that suits your needs best and install it for you. 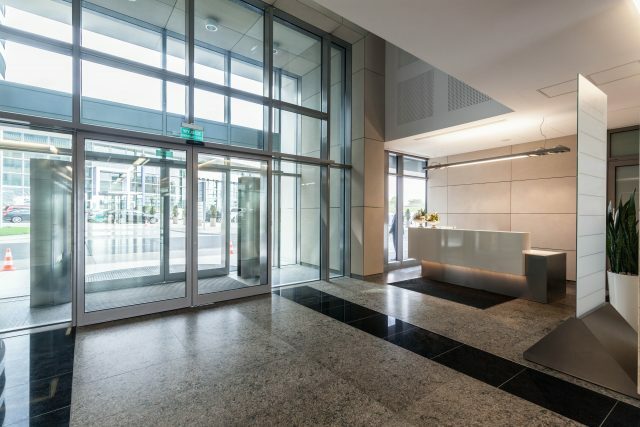 If you want a contemporary look that shows how big and well-decorated your lobby is, you can go for the all-glass doors. If you want to be safe in the case of a hurricane, there is also hurricane impact rated doors. These are mostly used in areas such as Florida and other areas where hurricanes are a common thing, but with the climate changes today, you never now. There are some functionality requirements for a good automatic door, and if you’re not enjoying all the benefits, you might want to consider getting a new automatic door or repairing the old one. Your automatic door should provide high-performance with minimum noise and should allow for many people to pass through it without trouble. Take action today and call us to give you the best experience of having a gorgeous, fully automated entrance door. Our company is called the Highgate Doors and we’re well-known for our superior service all around New York City. We can repair or install all kinds of automatic doors, and we guarantee you’ll be happy with the results and with our service. Our customers always call us back when they need more work done because they like the straightforward experience of working with us. We always arrive on time and handle the things on schedule and with no trouble for the customer. What our customers value the most is that we live little or no mess behind, unlike some other handyman who do the job and then just leave you to spend the rest of the day tidying up behind them. If you want a reliable and attractive automatic door, give us a call at (212) 860-5477 and book a free estimate appointment. We will come and make sure you get exactly what you imagined and that everything works properly. We can handle different automatic door repairs as well as automatic door installation to make your life and your job a lot easier. If you don’t pay enough attention to your door, they can malfunction and if it’s a revolving door, people can end up stuck in it. To avoid similar inconveniences and to ensure smooth operation, let us take care of your automatic door.